Applications: Plain stripping wheel are for mounting on an arbour or shaft for edge use. 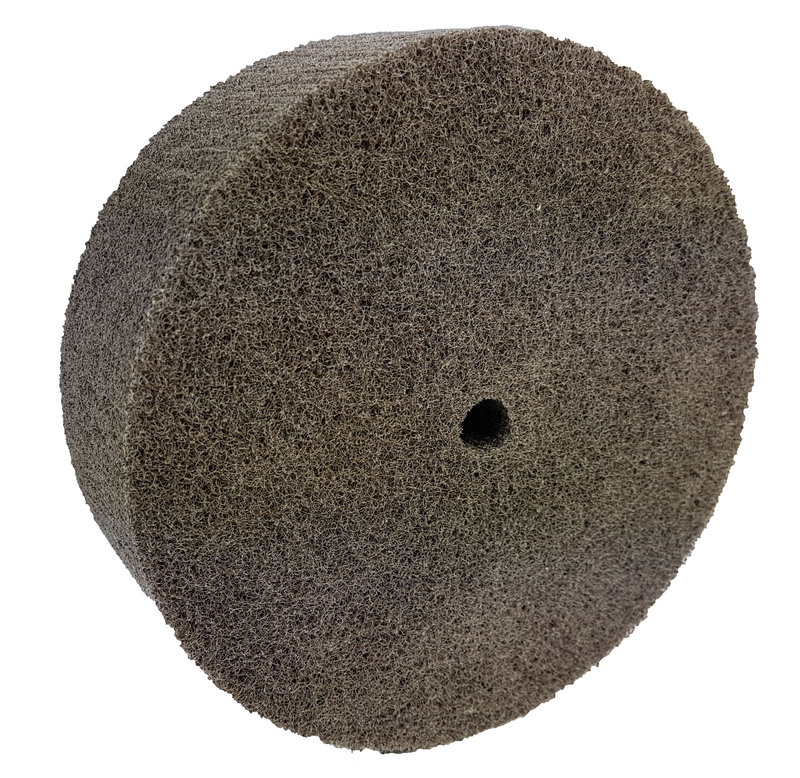 Can be mounted on a mandrel assembly to make a single or double width wheel driven by a drill. Likewise, several can be added to a rotating shaft machine to form a wider wheel. 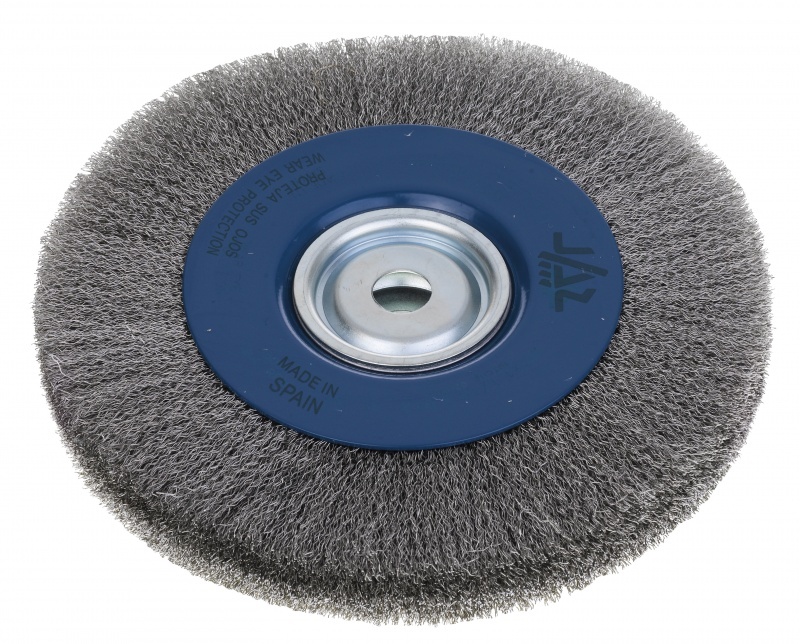 They can also be used on tapered polishing spindles to clean and surface condition metal including stainless steel. Flat disc with 13mm centre bore. Arbour / mandrel assembly available. Two discs can be mounted together on mandrel to make a wider wheel. Flexibility enables mounting on tapered shafts. Slightly flexible to avoid gouging. 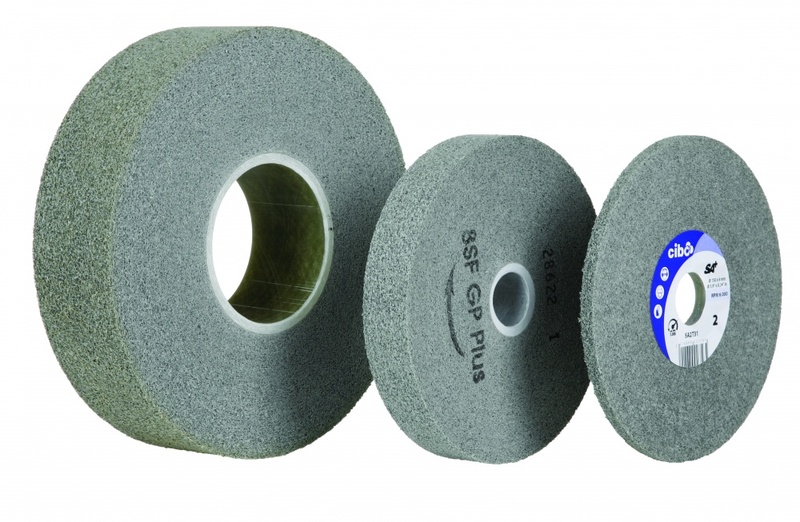 Available in 100mm (4") and 150mm (6") diameters. 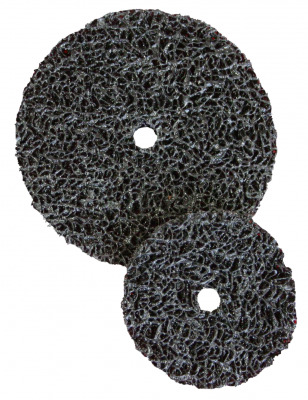 These larger wire wheel brushes are suitable for bench mounting and are supplied with multiple centre rings to fit different rotating shaft machines.